The prices include the ship and crew. The prices do not include food and refreshments. Unless otherwise agreed, cruises depart from and return to Halkolaituri in Pohjoisranta, Helsinki. 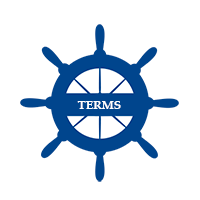 Transfer of the ships from the home port to other departure or return locations will cost 250 € per hour. VAT 10% will be added to the prices. All rights reserved. Sailing in the ambiance of past decades is an unforgettable experience! 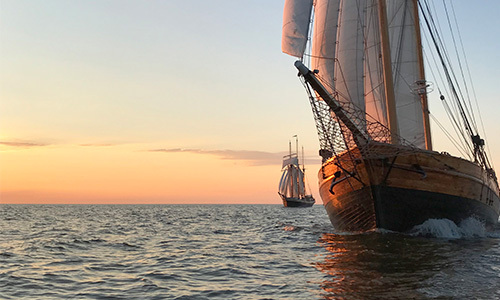 In July our ships set off on longer excursions, sailing in the Finnish Archipelago, the Saimaa lake district or even to Saarenmaa in Estonia. 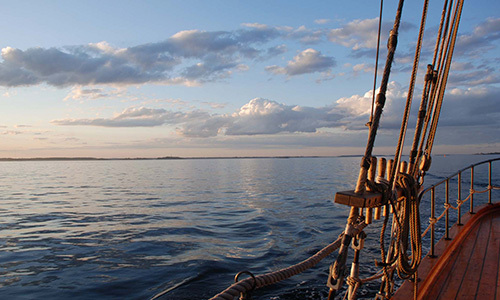 A holiday cruise on a genuine old-time sail vessel is an experience you will never forget. It’s all about team work, where guided by the experienced crew, you can take part in all activities aboard. Or you can leave all the work to us. A cruise can take anything from 24 hours to a month. All cruises will be planned according to your wishes. Svanhild caters for up to 20 people sleeping in seven 2-3-person cabins. On Astrid we share lodgings in the salon, with berths for up to 22 people. 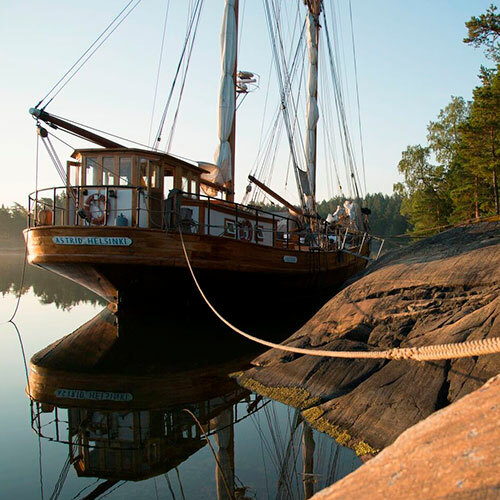 The price list is effective from 1st - 14th of May, 1st - 31st of July and from 1st of October until the end of the sailing season. 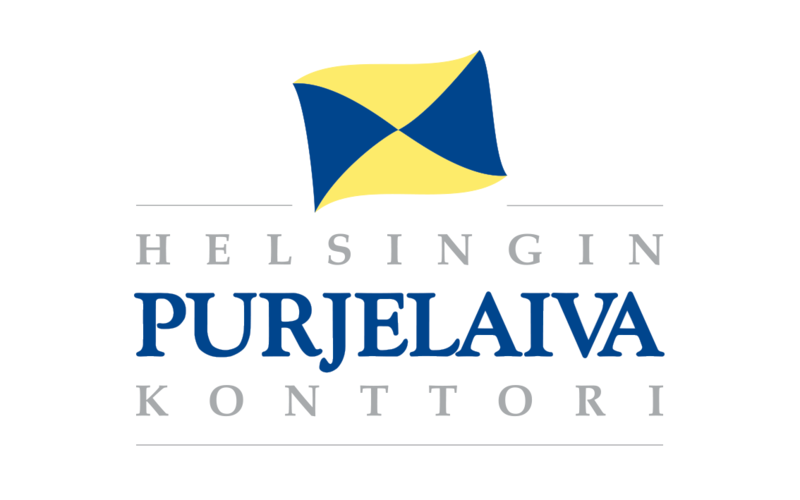 Unless otherwise agreed, cruises depart from and return to Halkolaituri in Pohjoisranta, Helsinki. Transfer of the ships from the home port to other departure or return locations will cost 250 € per hour. VAT 10% will be added to the prices. The prices include the ship and crew, bed linen and towels. The prices include usage of the ship engine for maximum 6 hours per day. The prices do not include food, refreshments or possible port charges. All rights reserved.